Sydney Shop Girl: Baby News. Soup Weather. From the AWW Facebook feed. Well, hello gorgeous little one! Welcome to the world. You've had most of the world's major news outlets awake all night anxious for any breaking news on you. But first things first, you're not about to let the flashing of their cameras interrupt your precious sleep. Someone just a little older than your big brother had me up before dawn this morning which is how I found myself checking my Facebook feed for news of your arrival. The mood on the planet has been pretty bleak right now. While our commoner obsession with your arrival could be seen as superficial and shallow, it has been a nice ray of sunshine welcoming your arrival as we also empathise and do what we each can for the troubles of the world. Your mum's looking pretty amazing and well rested on her way home with you the day after you were born! I think your arrival calls for a few add ons to her Merci Maman necklace . Which I'm pretty tempted to get as well. Royal Baby arrival aside, there wasn't much else to do while I was wide awake early this morning but to put on a batch of soup as a kind of antidote to this wet weather and the latest cold I've caught from Toddler SSG. The sizzle of melting butter and oil on a cold and wet morning... does the spirit wonders. Julie Goodwin's pea and ham soup is a winter favourite of mine and this year I've adapted it to be cooked in my slow cooker. Fortunately, my ham hock fit into the bowl of my cooker. I'm a guts when it comes to ham hock meat so I'll be adding a packet of it at the end with the meat I'll be teasing off my hock. There'll also be an extra two cups of frozen peas stirred in before stick blending. I love how they make the soup a little lighter in colour and also in texture. This weekend has pretty much all about keeping well fed, warm and cosy actually. I warmed my neck yesterday with that Aldi cashmere scarf. I managed to eat only one of my salted caramel Lindor balls. If you love salted caramel, these are the best. You can actually taste the flakes of sea salt in the filling and the caramel isn't sickly sweet. So glad I scored two sticks of 5 for $6 total at Coles this week. I'm hoping these are a permanent addition to the Australian range. Scented drawer liners - $8.99 per box from Aldi this week. I'm attempting to do a wardrobe cull as I plan my trip packing. I have no idea when I'm actually going to be doing the packing (realistically, the night before I leave when mum and graunty get here) but at least my wardrobe is getting thinned out and there's actually enough room in the drawers for them to get lined. There was a lot of ditching of faded and stretched black layering tops which means I'll be able to open these from Uniqlo and ease them into my wardrobe rotation this week. Are you making soup this weekend? 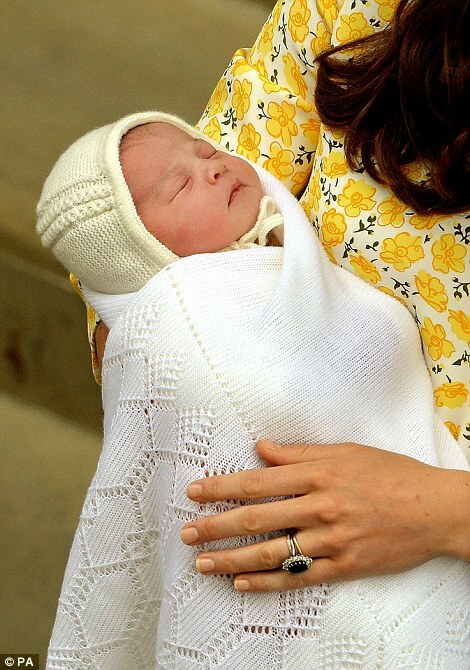 Has the Royal Baby news made you smile in what has been a harrowing few weeks of world news? It's definitely nice to have a piece of good news to counteract the bad. Also that necklace is really cute and slightly affordable, too. I think my sister might really like one (once my nephew gets passed the jewellery-grabbing stage...). I love a Uniqlo heattech and live in them for about 8 months of the year, but always run out at the worst possible time. I think I should buy about 5 years worth in one go and be done with it! I was looking at ham hocks yesterday and thought that I needed to get some for pea and ham soup! Craving now. Not a big royal family fan so I wasn't feeling the birth. It seems that your feedburner feed has died. This is not especially surprising - Google bought feedburner a while back and they are totally ignoring it and are not supporting it at all. Best to go back to the basic feed via your blog, I think. http://feeds.feedburner.com/SydneyShopGirl <-- that shows the last post which is the same last post I received. I think to fix it, you would go to settings --> other --> and under site feed you will see Post Feed Redirect URL <-- make sure that the Post Feed Redirect URL field is totally blank, you may have to click on the feedburner link and then click on remove underneath it - and save settings before you leave the page. Fingers crossed that will do the trick. If you publish a test post and I receive it, I'll drop by to comment on it. :) And hopefully all your readers who are waiting for a new post from you will receive it too!